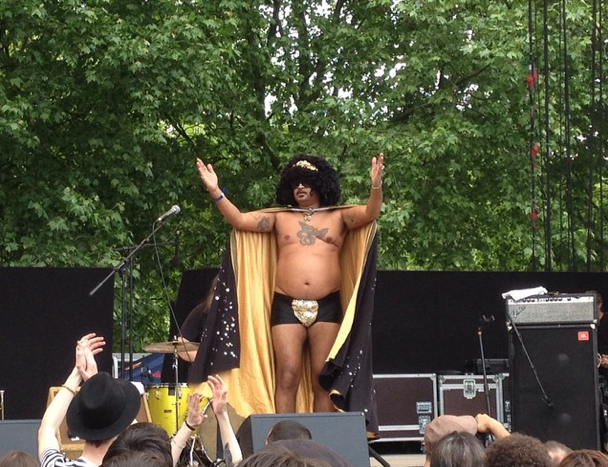 Yesterday we saw King Khan and the Shrines at Villette Sonique and it was great. The man is really inspired and inspiring. The gig began with a "la jeunesse emmerde le Front National", (the "Front National" is a french political group with bad tastes ! ), the tone was set. After that he talked about respect, respect the gays, respect the trans, the freaks, respect every differences with his famous sense of humor. It reminds us that respect is one of the most important thing. And in the water, we should think more about respect and open-mindedness on the beautiful moment we're having, sharing waves with people even with people we don't know. Here's a few shots from yesterday and a clip of one of his track called "Bite my Tongue"